The Resident Evil series of video games is undoubtedly one of the best-known and most played in video game history, so it makes sense that the upcoming Resident Evil 7 is one of the most eagerly awaited video games in recent memory. 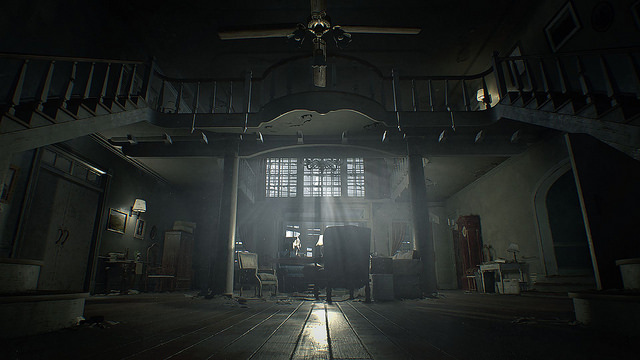 A recently released trailer for the game, titled “The Bakers” shows that this latest instalment of the iconic series will be as scary and atmospheric as earlier games in the franchise, plus it will also be the first Resident Evil game to offer a “virtual reality mode”, as it will support Sony’s upcoming PlayStation VR headset when it ships early next year. This will clearly make the game an even scarier experience for those who decide to get Sony’s VR headset when it’s released in October this year. Resident Evil 7 will be slightly different to previous Resident Evil games though, as it will be played in first-person mode instead of third-person as in earlier entries, and enemies will also not attack in hordes, with the game focusing more on one on one combat judging by the demos we’ve seen for far. What’s clear though, if that this Resident Evil game manages to offer the same thrills and scares as earlier games in the series (particularly the great 1996 original which was released last year in remastered form), then fans of the series will be in for a treat when Resident Evil 7 hits the shelves early next year.